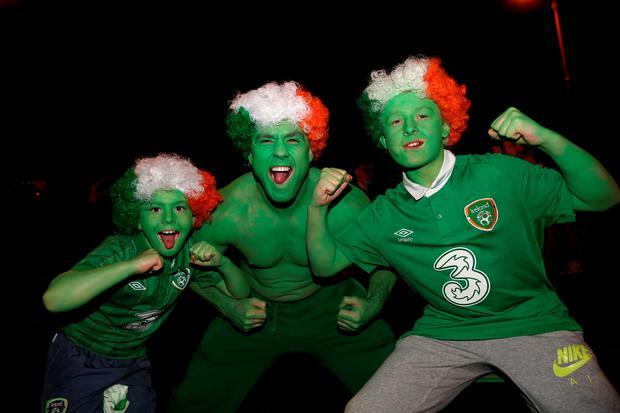 Republic of Ireland fans Shane Peppard (centre) with his son Clayton, aged 9, (left) and nephew Sean, 12, from Clondalkin during the UEFA Euro 2016 Qualifying Playoff second leg in Dublin. Photo: Brian Lawless/PA Wire. Travelling with the Green Army to Euro 2016? Here are 10 top tips for ensuring you have the best possible time in France. Under the State of Emergency in France (now extended to include the period covering the European Championships), everyone is obliged to carry photo ID on their person at all times. A passport card will work too... just make sure they are up to date! The EHIC ( (previously known as the E111) takes very little time to process and can be ordered from your local Health Authority (ehic.ie). More: Ask the Expert: Do I need travel insurance, an EHIC, or both? Following the terror attacks in Paris last November, fans need to allow for dual-layer security checks. Security will be similar to that of an airport at games, so allow enough time to get inside the stadium well before kick-off to avoid last minute panic! Fan forums like ybig.ie/forum are perfect for tapping the hive mind for latest updates and intel on travel arrangements, tickets and more from the Green Army. French people are up for a drink and a laugh just as much as the Irish, but there's no messing with a national police force that's on a state-of-emergency footing. 6. Let people at home know your itinerary. Roaming has become very cheap, and it's no harm to loop people back in Ireland in on your logistics, as well as using social media to keep them up to date. Just in case, the DFA Twitter handles are @dfatirl, @dfatravel and @irlembparis. The emergency line in France is 112. From June 10 onwards, there will be a dedicated emergency phone line to the consular service in Paris for travelling fans; +33 1441 767 80. As an extra precaution, you can register on dfa.ie/travel/citizens-registration. More: How can I get to Ireland's games in France? Don't bring things like penknives, alcohol or large bottles into the stadium. In some cases, these will involve even bigger crowds than at the stadiums, so expect a similar double-layer of security at these venues too. Don't be fooled into thinking the whole world speaks English - particularly in France. Before you leave home, you can pre-download the entire French dictionary to your phone using Google Translate to get you over those little communication difficulties. Euro 2016 Travel Guide: How can I get to Ireland's games in France?